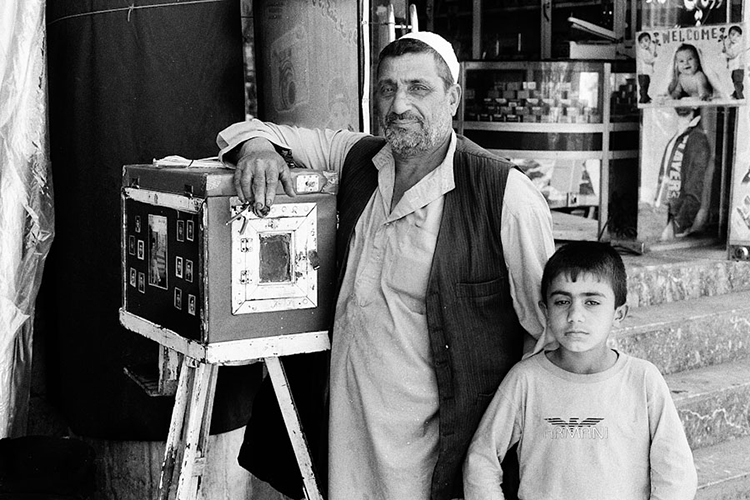 Afghanistan is one of the last places in the world where photographers use an antiquated wooden instant camera called the kamra-e-faoree to make a living. 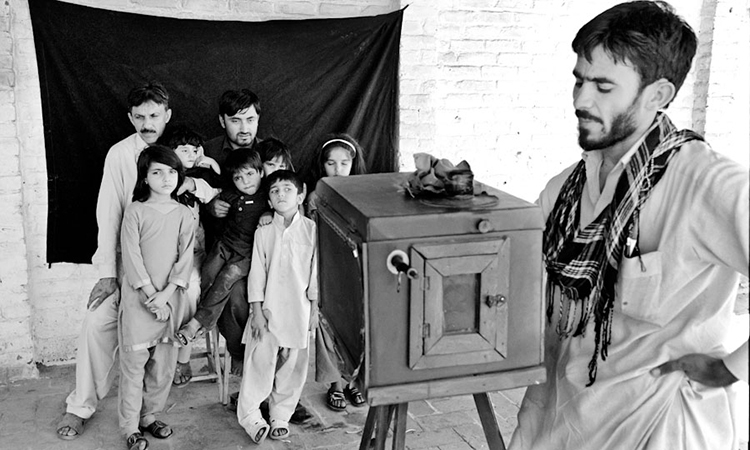 This hand-made device has both camera and darkroom within one large contraption and generations of Afghans have had their portraits taken with it, usually for identity or passport size photographs. 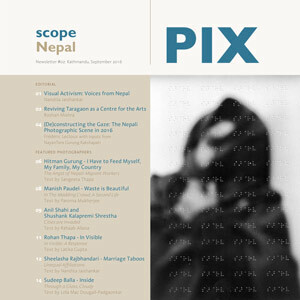 Under the Taliban rule, which banned photography, practitioners were forced to hide or destroy their tools. 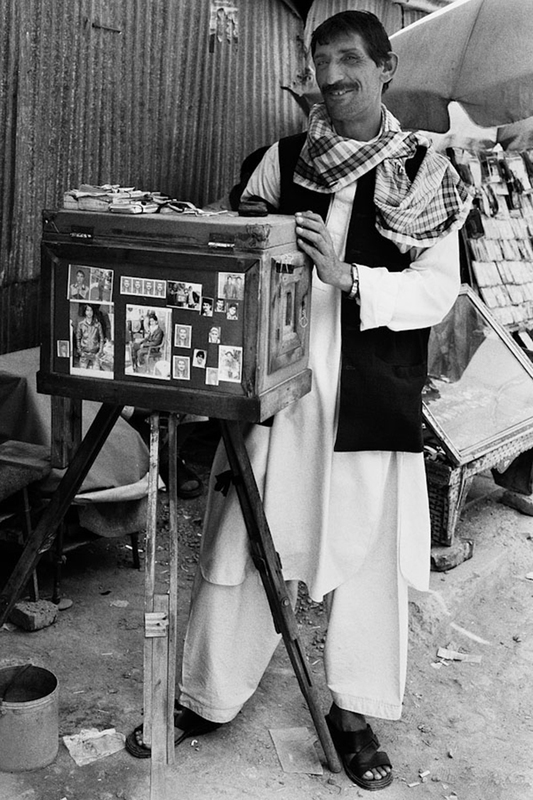 After 2001 and the removal of the Taliban from power, box camera photographers in Kabul experienced a revival and boom in business. But over the last decade, the trade has drastically declined to the point where the camera itself has all but disappeared. The aim of the Afghan Box Camera Project is to provide a record of the production and consumption of the kamra-e-faoree. 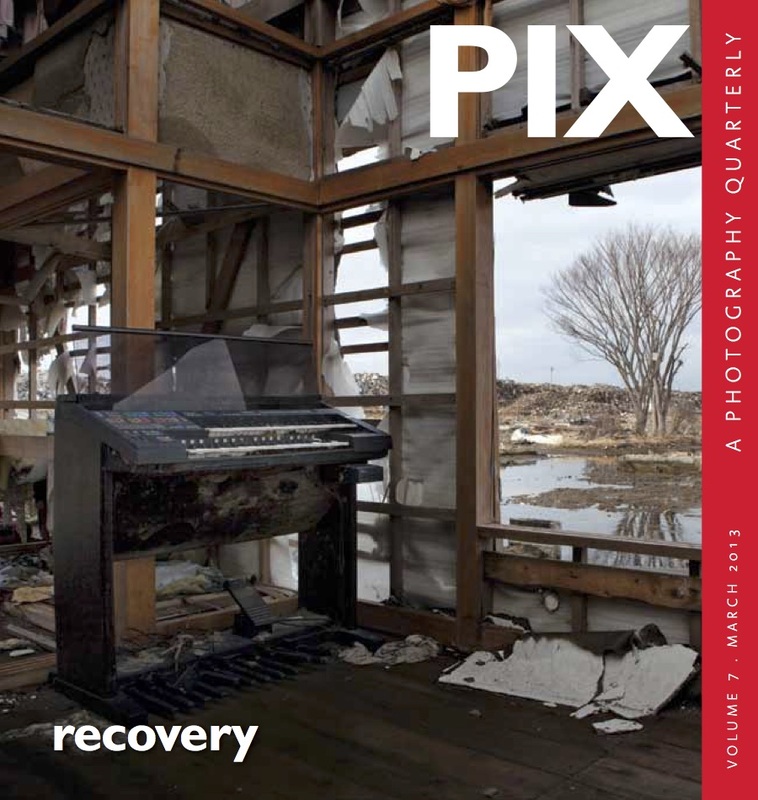 We have documented the last practicing photographers in the country and archived their work for posterity. We also created instructions on how to use and build a kamra-e-faoree, along with general background information on the device and the history of photography in Afghanistan. 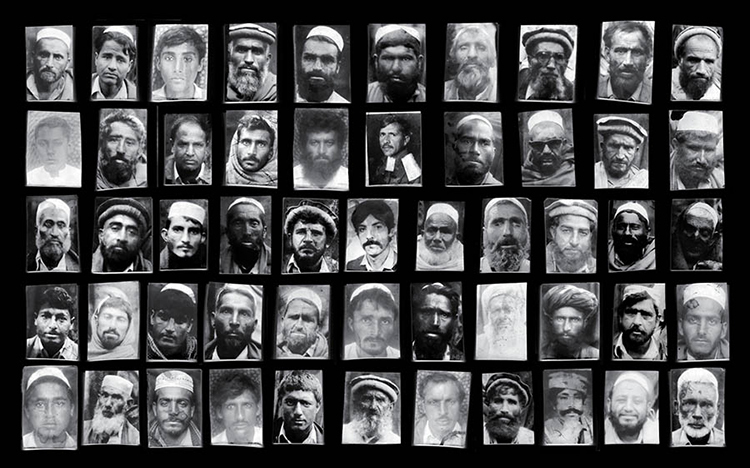 As early as May 2011, the Project began its research on the ground, covering Kabul and Mazar-e-Sharif, where we began to learn of the techniques and history of the kamra-e-faoree from many existing Afghan photographers. 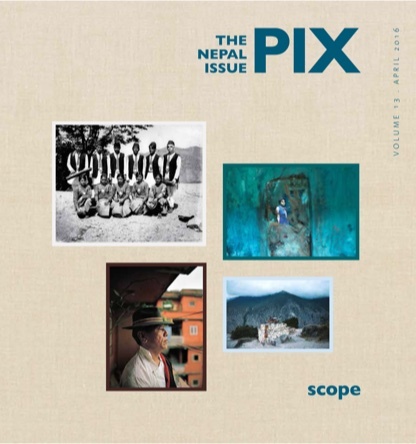 We were also fortunate to meet the last two working box camera photographers in Kabul; by the summer of 2012 these photographers had stopped practicing due to economic constraints bringing a culture of photography that had prevailed since at least the 1950s to an end in the capital. However, by the end of 2012, the project returned to Afghanistan, with field staff travelling again to Kabul as well as Herat, Jalalabad and Peshawar in Pakistan. 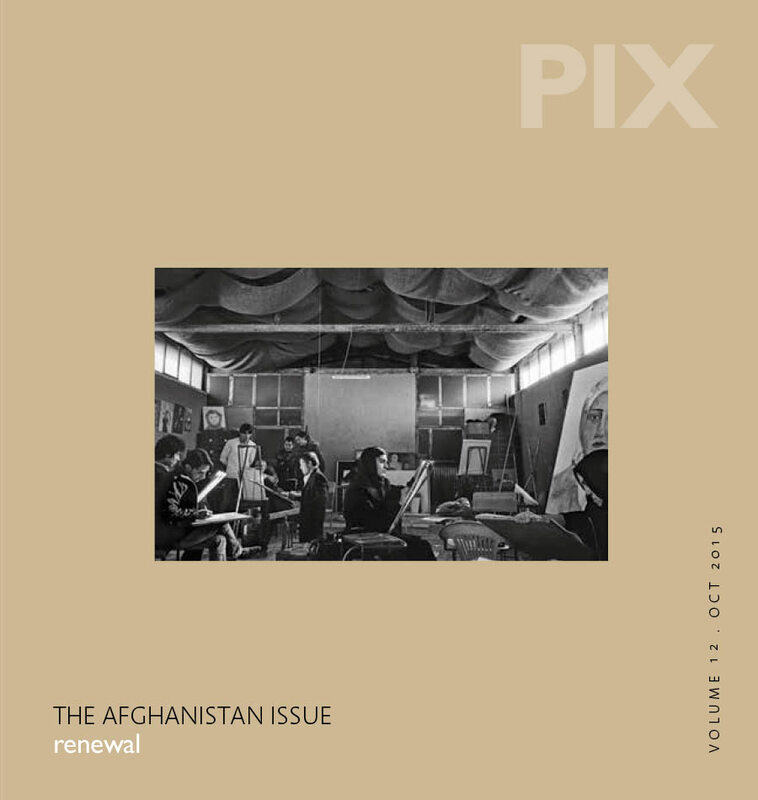 Recognising that a significant part of Afghan cultural life has been displaced due to warfare over the past thirty years, the Peshawar part of the project had particular significance in our understanding of the life of Afghan photography under refugee conditions. Abdul Samad was one of the earliest kamrae-faoree photographers in Kabul. 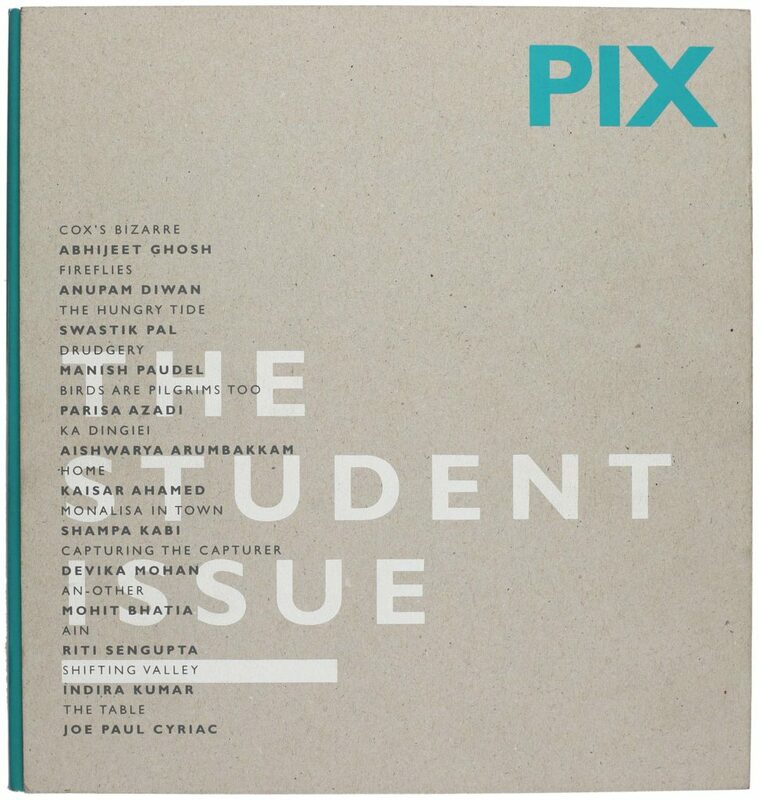 The first was Afandi who introduced Abdul Samad to the box camera. 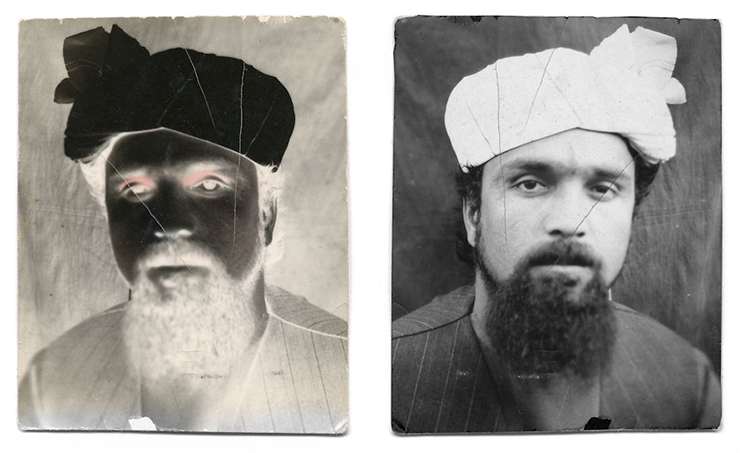 During the time of Zahir Shah (1933-1973), Abdul Samad travelled around the provinces taking identity photographs for the national identity card. 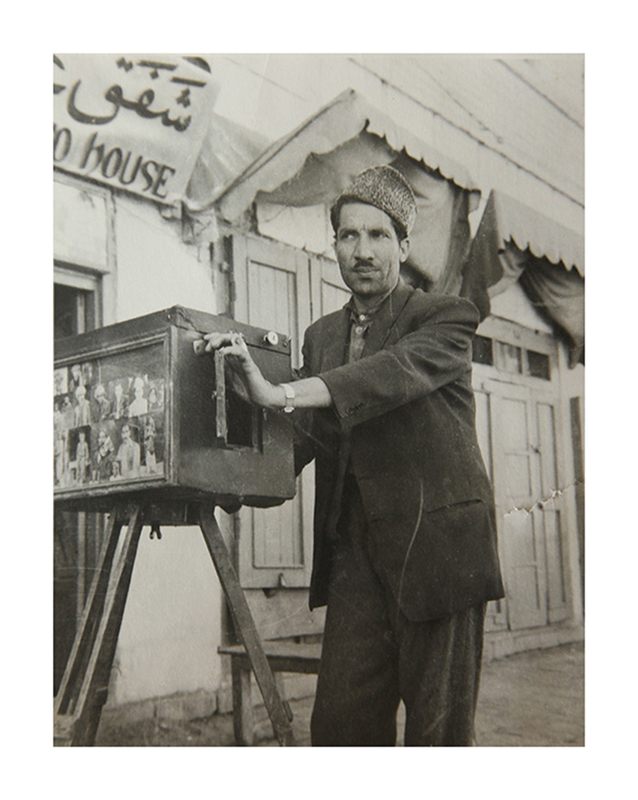 He had his own photo shop in the Kote Sangi area of Kabul for over fifty years. Postscript: Abdul Samad’s son, Abdul Satar learnt the trade from his father in the family shop. When heavy fighting broke out in the locality during the civil war, he was forced to close down the store and travel to Peshawar, in Pakistan. The shop was destroyed during the conflict, but the managed to re-open a new one on the same site. The services Abdul Satar now offers are completely digital. Rohullah is a native of Kabul and as of June 2011 he was also one of the last two remaining kamrae-faoree photographers working in the city. Being in the trade for forty years, he was taught how to use the camera by his brother, also a practitioner who later entered the military. Rohullah has been working from the chowk in downtown Kabul next to a digital photo-studio for the last four years but he’s also occupied pitches in Jadda chowk and Shahr-e-Nau. 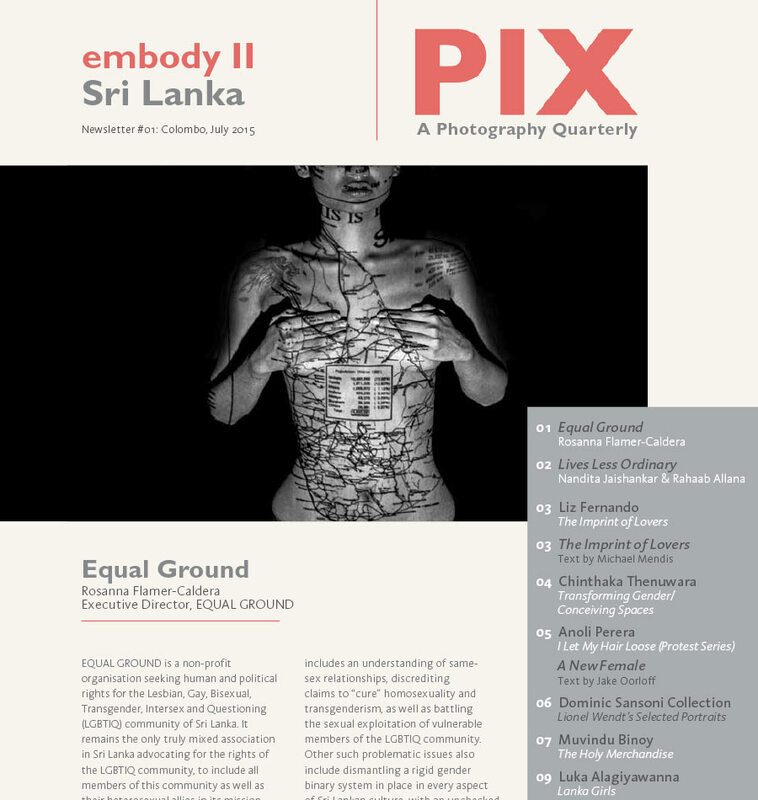 With only twelve boxes of Lucky photographic paper left, Rohullah’s days as a kamra-e-faoree photographer are numbered. Postscript: By 2012, Rohullah had left his pitch to open a grocery store in the outskirts of Kabul. A perfume seller has taken over his original station. Until recently, Mia Muhammad worked outside the Red Cross Orthopaedic Centre in Kabul. The first visit Mia made to this facility was for treatment after he lost a leg by stepping on a landmine. 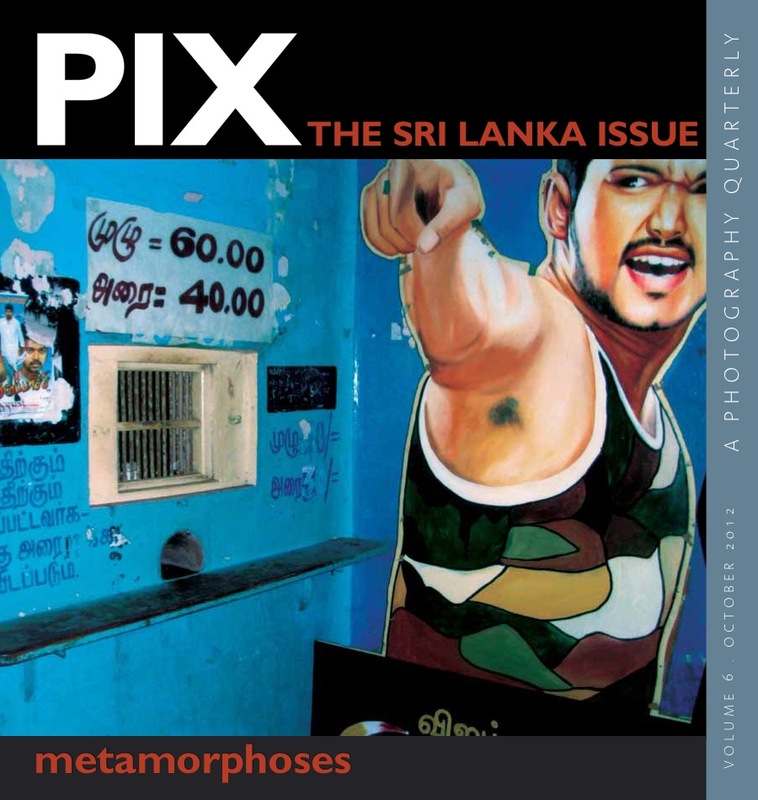 Jobless at the time, the centre’s director suggested he learn how to use the kamra-e-faoree as patients needed photographs for the identity papers that the centre issued. Mia took a loan, bought a camera, and started to take photographs outside the centre. Business was good; but gradually materials for the camera became more difficult and expensive to obtain. 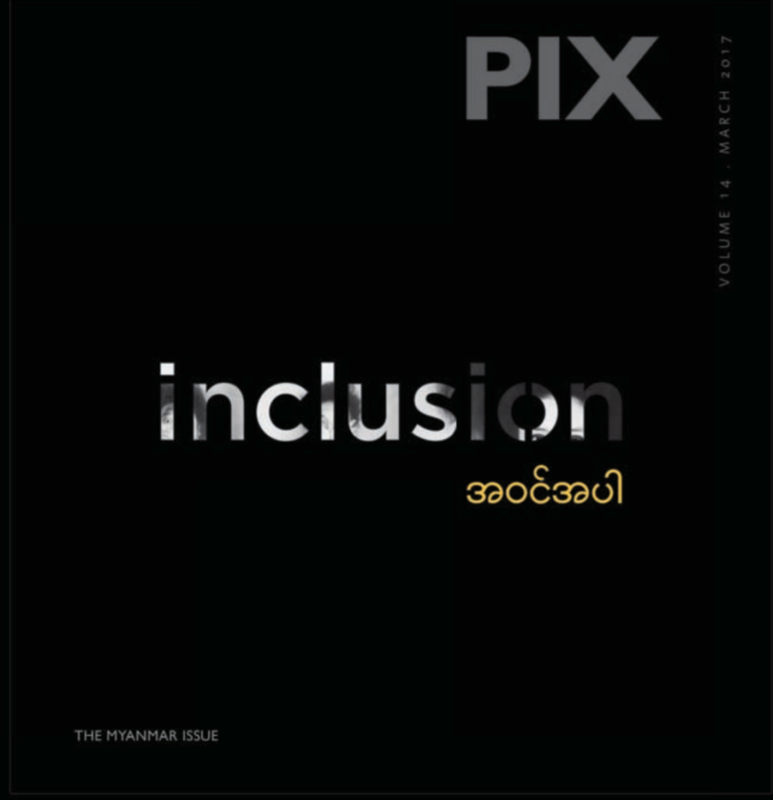 The centre started to use digital technology to photograph patients, but since Mia was illiterate, he was deemed ineligible for the job as it required reading instructions (in English) on cameras and computers. Postscript: Mia now works as a cleaner for the Red Cross. Qalam Nabi, 44, is one of the last two remaining kamra-e-faoree photographers working on a daily basis in Kabul. His father, Abdul, also a kamra-efaoree photographer taught him the trade. 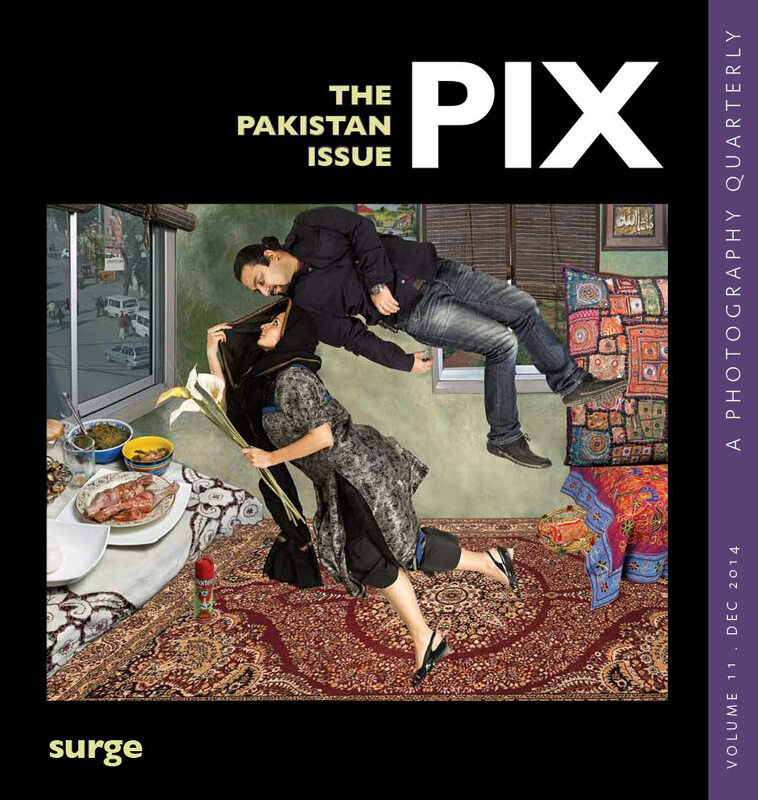 The Taliban put a brief halt to this work in the ‘90s when they passed an edict initially banning all photography, though finally they relented after a few months and allowed identity photographs–meaning kamra-e-faoree photographers were back in business. Postscript: In May 2012 Qalam Nabi was no longer working at his pitch. He has reportedly moved to London. When Haji Mirzaman was 15, he started working in his cousin Gul Afghan’s Maiwand Studio near Cinema Pamir. 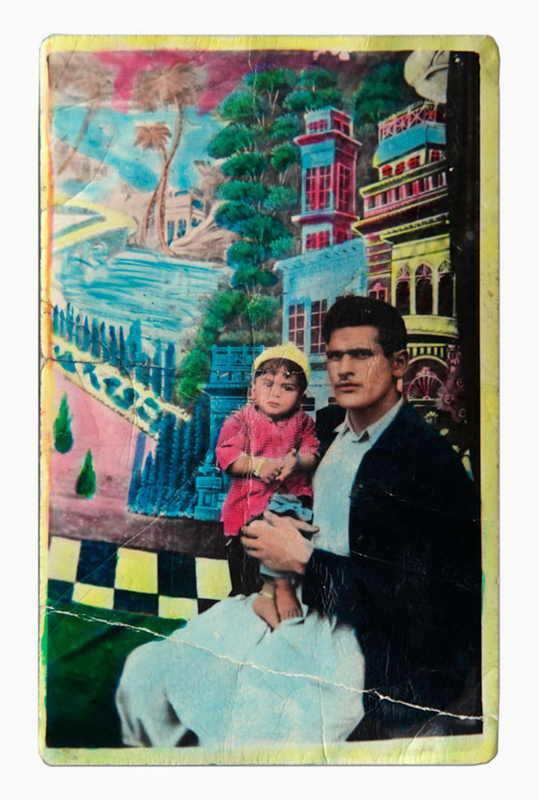 He opened his own studio in downtown Kabul; it burnt down during the civil war. It wasn’t until Karzai came to power after 2001 that he opened his present studio in the Karte Naw area of Kabul. 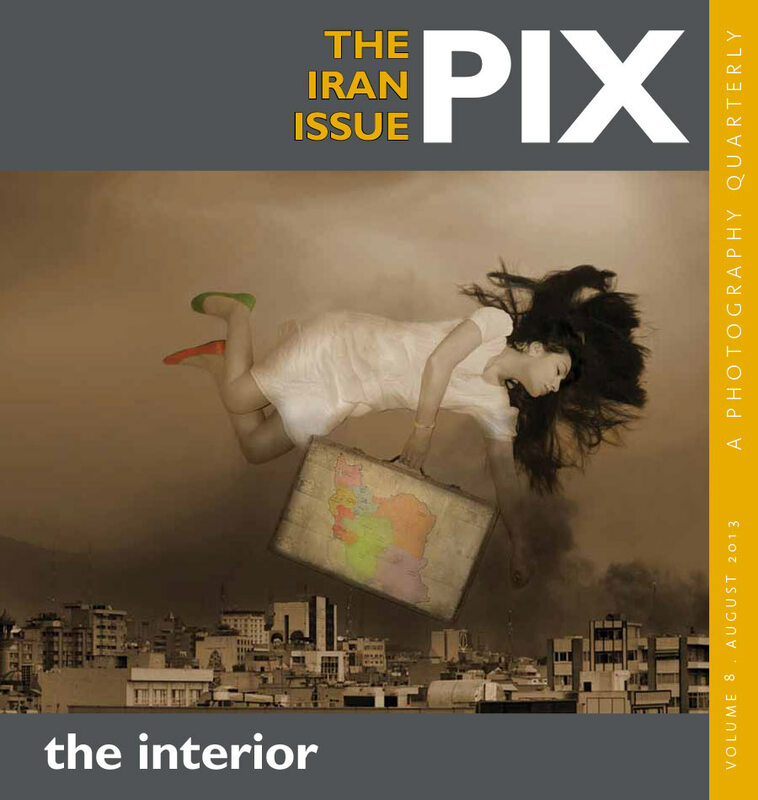 Mirzaman has taught all of his four sons photography, and now, Farshad, his youngest son works with him. Postscript: Mirzaman stopped using the kamra-e-faoree for daily business in 2011, but he still installs one of his old box cameras outside his studio to advertise the business. Muhammad Ishaq used to work on a box camera in Mukhaberat Chowk in Jalalabad near Bajazay mosque on a pavement under a banyan tree. He worked under this tree for seventeen years, where he photographed soldiers, farmers, schoolchildren, war veterans, and a passing New York Times reporter. In 2006, he was forced to move. The municipality wouldn’t allow him to work on the pavement anymore. 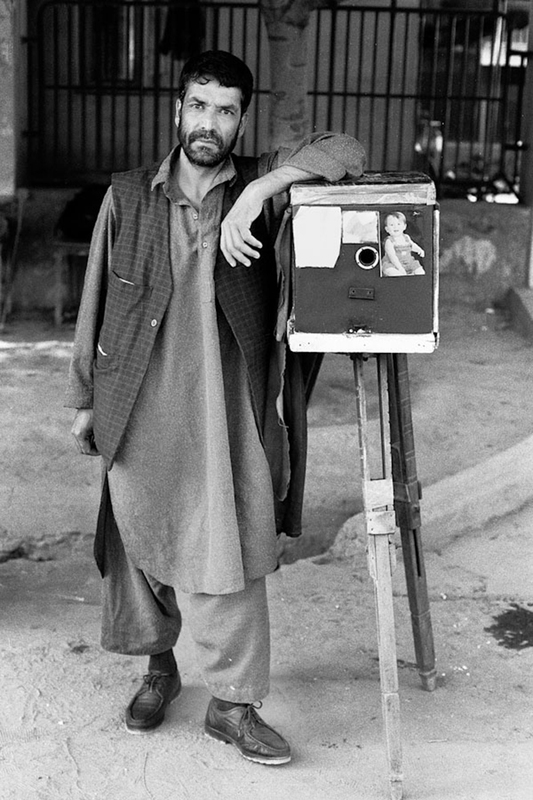 They termed it an ‘illegal encroachment’ and many box camera photographers in Jalalabad were forced to change professions. Muhammad managed to find another pitch at the bus stand, soon after which he was offered a job for taking photographs of welfare applicants for the Committee for War Affectees (Riyast-e-Mayoubeen). He took the job. 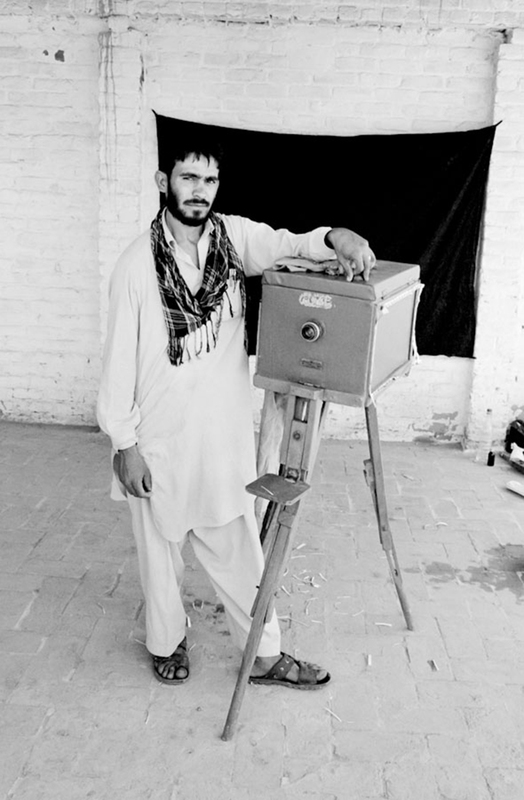 Muhammad also worked in Jalozay refugee camp in Peshawar as a box camera photographer for fourteen years. He came back to Jalalabad after the fall of the Communist government. 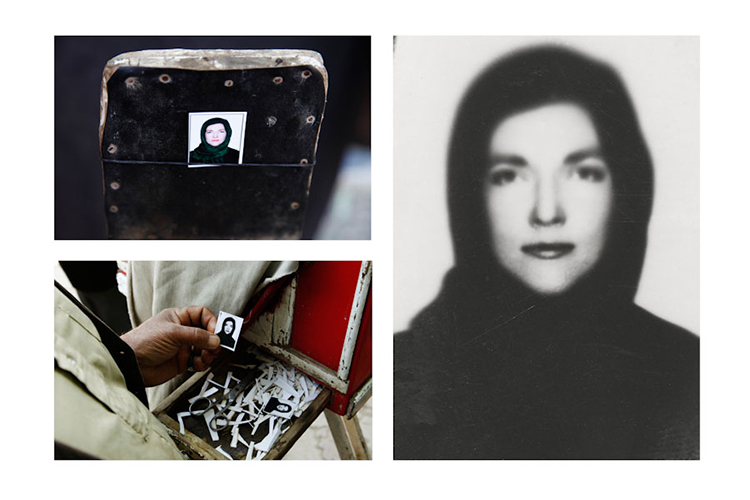 During the Taliban regime, he continued to work on the box camera and only stopped using it in2010. 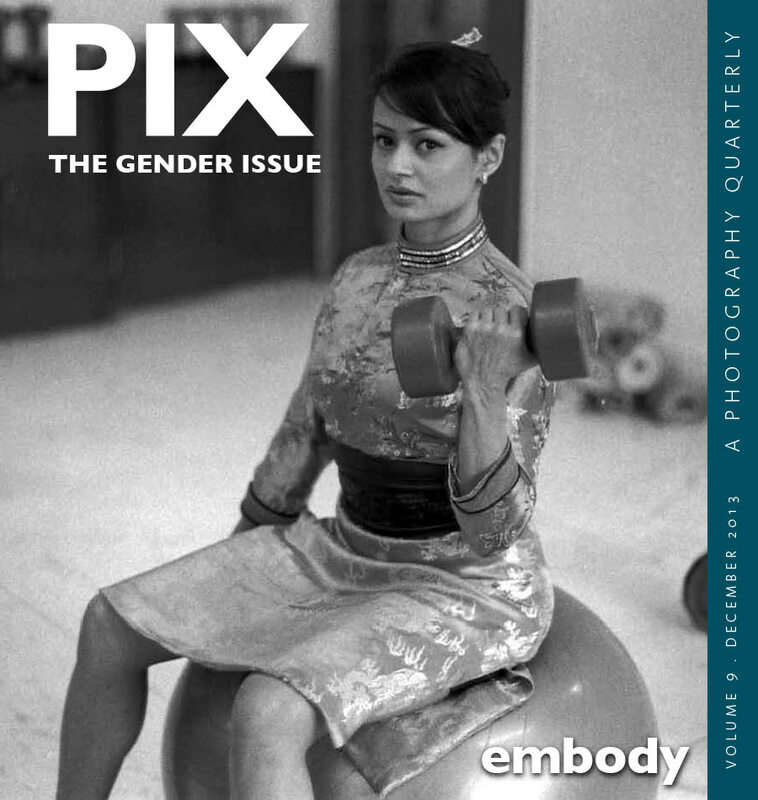 Postscript: Muhammad later bought a digital camera and continues to work in the same office. When Izzat Ullah started working on the box camera he was so small he had to set the tripod to its lowest point so he could reach the sleeve. 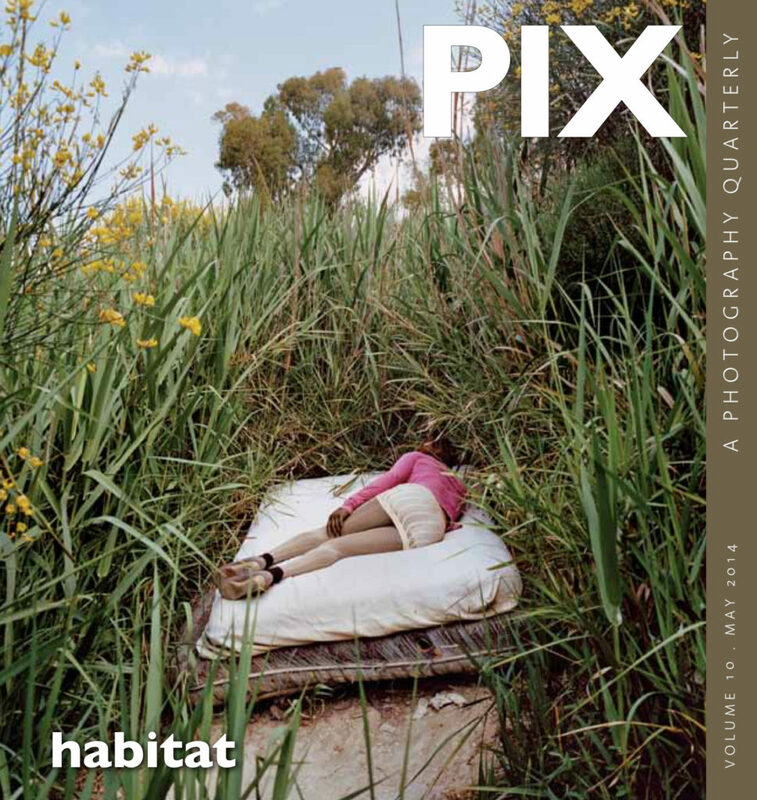 In the mornings he attended school; in the afternoons he worked close to the once sprawling Nasir Bagh Afghan refugee camp in the Board area of Peshawar, a one-time regular pitch for Afghan box camera photographers in the city. His family originally came as refugees to Peshawar from Jalalabad. Because he was so young starting out, families mindful of their women would often choose him over adult male photographers to take their pictures. His popularity, he claims, caused friction with some of the other photographers who seemed to think he was invading their pitch. Izzat Ullah’s occupational heyday came between 2004 and 2005 when the United Nations High Commission for Refugees (UNHCR) repatriated hundreds of thousands of Afghan refugees from Peshawar. Because box camera photographers could provide the photos for documentation, in an economically viable way, they were in high demand. Postscript: Izzat stopped working on the box camera in 2010. At the time he was told by many of his friends and family to burn it. They said it was now useless. But Izzat refused. Abdul Samad with his kamrae-faoree, Kabul, 1950s. Qalam Nabi standing at his shop, Kabul 2011. 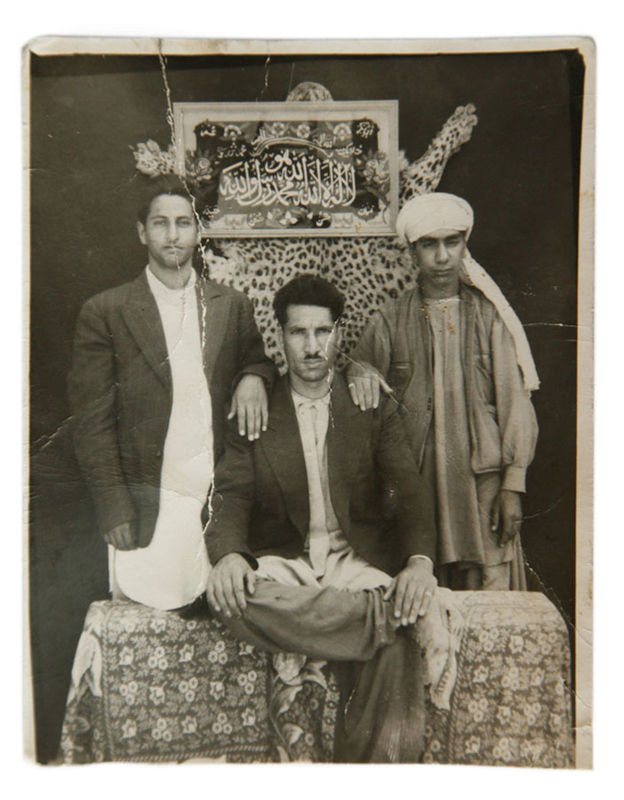 Abdul Samad with brothers, Kabul, 1950s. 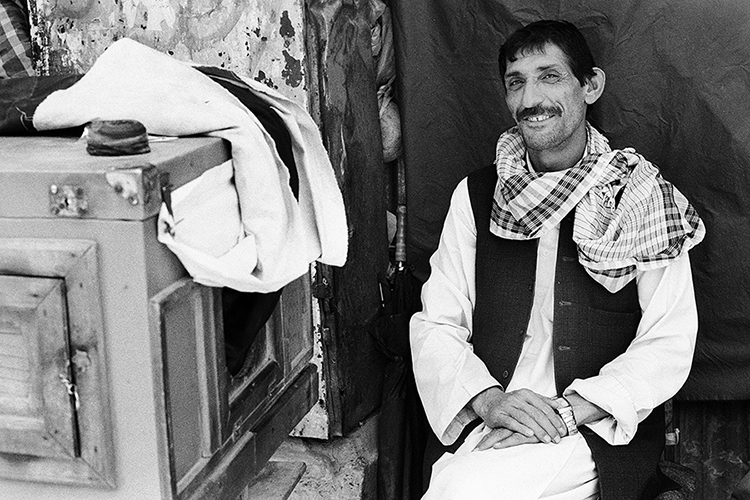 Photos by Muhammad Ishaq, Jalalabad, 1990s.